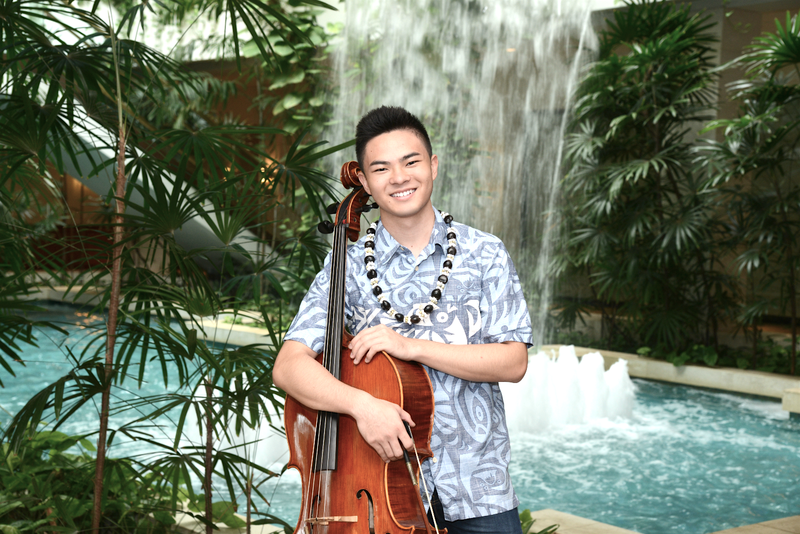 Born and raised in Honolulu, Hawaii, cellist Kahler Suzuki is currently co-principal cellist of the Peabody Concert Orchestra and a cellist in the Peabody Modern Orchestra in Baltimore, MD. He previously served as principal cellist of the Hawai`i Youth Symphony and was a 2013 prizewinner of the Morning Music Club Scholarship Competition in Honolulu, Hawai`i. Kahler has performed at orchestral and chamber festivals in Santa Clara, Chicago, Rome, Florence and London, and served as principal cello of the `Iolani Orchestra, with whom he performed Shostakovich’s first Cello Concerto in 2015. He is currently pursuing a bachelor’s degree in performance at the Peabody Institute of Music of the Johns Hopkins University. Stay Thirsty Magazine is pleased to name Kahler Suzuki as a SPOTLIGHT ARTIST for Spring 2018 because he possesses that “special something” that magnetizes an audience when he performs and it should serve him well in the years to come as he builds his career in music. While the video maybe homemade, his talent is certainly not.